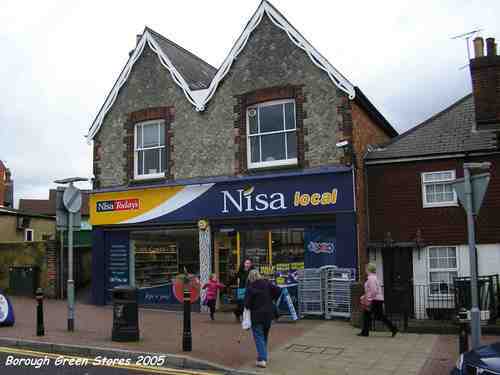 Nisa stores in 2005. 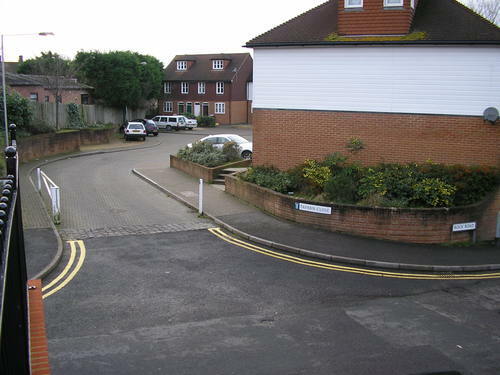 The click picture may not seem to be the same building, but look at the brick and stonework. And look carefully in the foreground, yes, that is a live cow!! This is one of the most heartbreaking losses: the Rock Tavern was a unique building, not just its age and history, but because when it was built, a huge lump of ragstone was discovered, too large to easily move, so they built the walls around it. 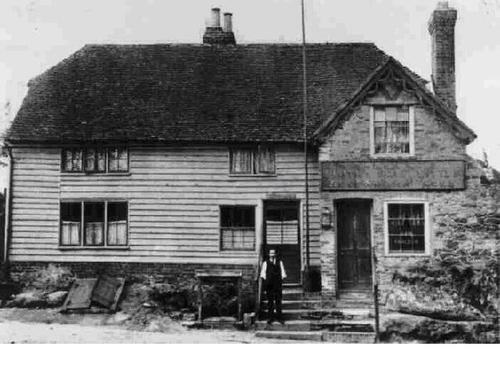 The lump of rock that gave the tavern its name was visible both inside and outside. 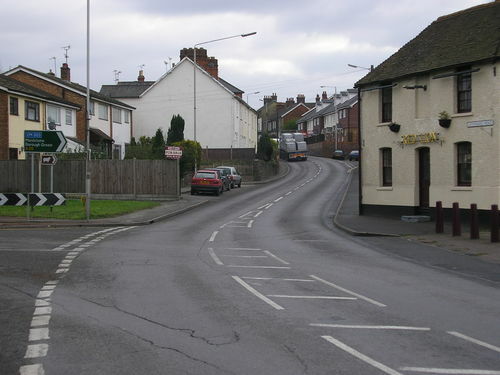 I'd love to know who trousered how much to allow such an important building to be demolished and replaced with bland generic housing, hope it was worth it!!! 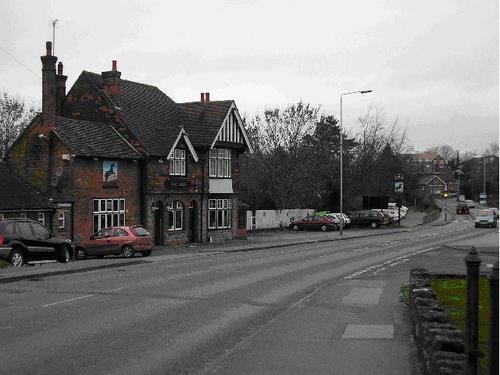 Another historic pub lost to even more housing, click to see the Fox and Hounds. 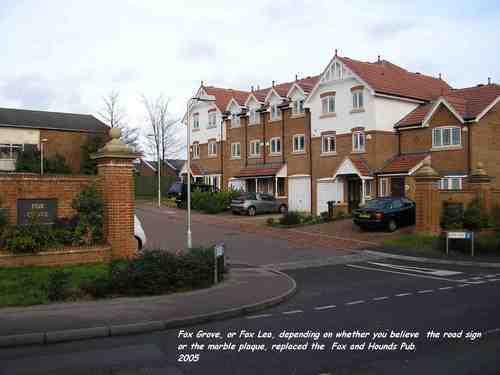 It was an adage in days gone by that the Fox was the only pub in Borough Green. 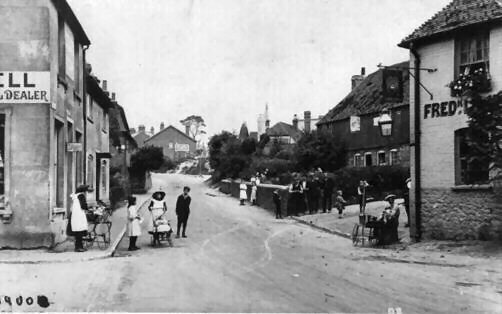 Before Borough Green rose to its present prominence and the boundaries were changed, the Red Lion and Rock were in Ightham Parish, the Railway in Wrotham, and the Black Horse in Platt. 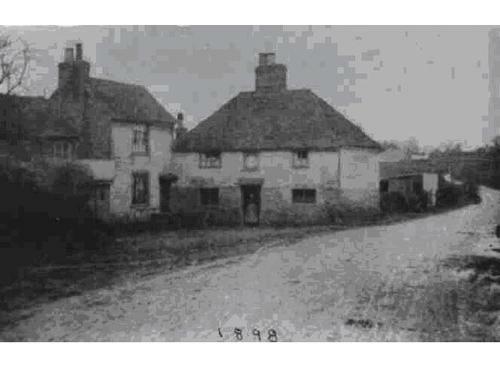 The old picture behind this current view of the Black Horse is from 1898: it may not look the same building, but the centre block of the old building was retained when the bulk was demolished and replaced in more recent times. 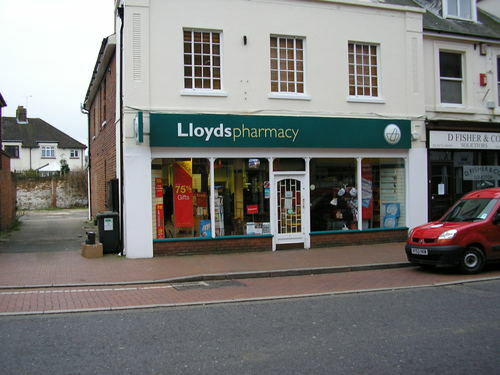 Before Lloyds took over, this shop had a brief spell as a plumbing supplier. 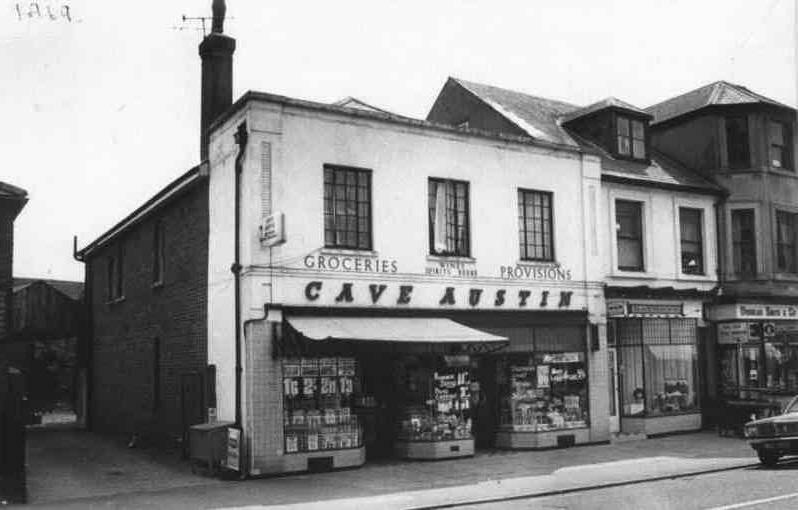 The clock picture is of Cave Ausins, one of the many grocery stores in th 60's. 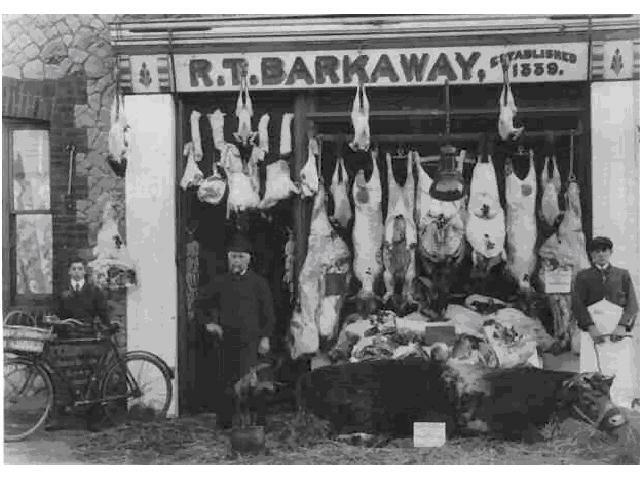 Ian's website has another picture of this as Seamarks general store in the late 1800s. 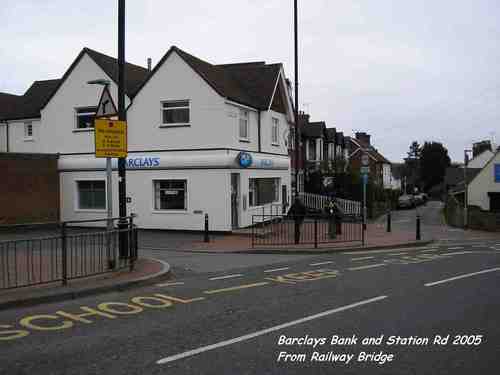 Barclays Bank now, but a long history before that as Hughes the bakers. 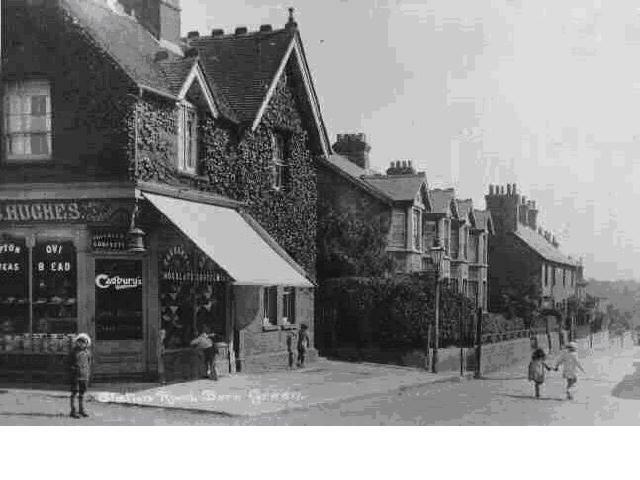 Can you imagine kids being able to skip down the middle of Station Rd today? 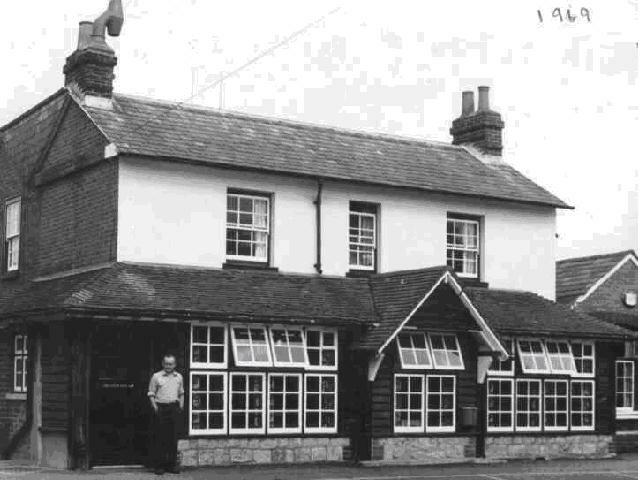 Below : the Rock Tavern in the 50's - click the pic for more of Ian Bangay's website archive.